Viv PDF Standard 3.0 was available as a giveaway on September 17, 2016! 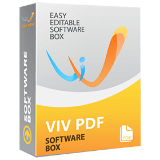 VivPDF is an all-in-one PDF editing software. It allows you to create 200+ format document to PDF File, edit text and image in PDF documents, security protection to PDF documents, convert PDF to office format with one click, and everything else you may need. How would you improve Viv PDF Standard 3.0? Astounding the number of comments that were permitted past the moderation phase then later deleted as well as those that were censored right from the start... Are there at least two different people moderating this comments section or just one with a changeable opinion? Agree - "Giveaways with a license for less than six months will be considered extended trial versions and are not worth to be mentioned!" "* Giveaways with a license for less than six months will be considered extended trial versions and are not worth to be mentioned!" i like the following statement that have been mentioned at the begining of the Giveaway radar Site... "* Giveaways with a license for less than six months will be considered extended trial versions and are not worth to be mentioned!" at last, a program that does not have a majority of 'thumbs up' ratings. although this has to be one of the most unloved offering ever. as noted by everyone, it is not a giveaway at all, and on top of that, the loan away offers only limited functionality. this is a crowded field with lots of players, and many avaialble programs that will give you a lifetime program for this price. every day it seems i am getting closer to a final divorce from GAOTD. this site is devolving into a pure rip off (while they do not charge any money, our time is valuable. eyes on screen is worth money. obviously. the purveyors of GAOTD did not set this up as an act of charity. money is being made, but apparently not enough when they offer only actual bona fide giveaways). I too shall pass on a 6 month program!! almost done, I too shall pass on a 6 month program!! All you people quit sniveling about the time limits on some of this software. The people arranging these Giveaways are doing their best, I recommended that if you don't like whats offered, you hit the road.. (1). It is what it is.! (2) Try reading the disclaimers and instructions once and awhile ( You may find it enlightening) (3) I really like the idea of using a program before shelling out say $50+ than buying it and finding out it's really not what I was looking for or it not meeting my needs...Keep this complaining up and these people will throw in the towel..! A lot of Commenters acting Entitled today, bashing GOTD - yeah okay, today's offering is ...substandard (to be kind), but try to remember that GOTD can only pass on what is put up to offer, and it's not THEIR fault if it's not all golden. Heck, even when a glorious totally free, full-featured spectacular comes around, it won't be of interest to all. And some people did find today's GOTD worth a Thumb's-Up. Frankly, I've been surprised at how many I have taken advantage of lately. Rein in the Trolling - it's not helpful. Bob Constans, not true, GAOTD can say to the vendor ""No sorry, you have to offer a license you sell as a giveaway, not fabricate a bespoke trial with deceptive descriptions. We state quite clearly on our site: "Every day we offer FREE licensed software you’d have to buy otherwise." If our visitors cannot buy the license you wish to offer then it cannot be on our site, sorry!"" TK, you have a point about the licensing, but you do not seem to realize how shallow the pool of offerings is. They simply cannot afford to be too picky. At any rate there will be a fresh offering tomorrow (almost certainly). I used to look at GOTD every day, but now there are so few real programs offered that I barely skim it anymore. There are waayyyy too many sleaze deals, poor programs, trialware. What happened to the great site that GOTD used to be? 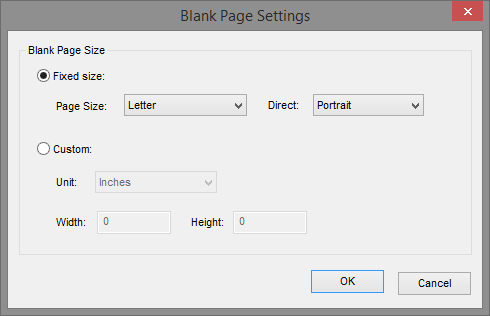 Don't say "convert PDF to office format with one click, and everything else you may need" when it won't do it. And what will happen after the trial is over? Does this stop working? Personally, I enjoy trial-ware. when I see it, I know it's one less thing to install and test. When not time restricted, it is a gift which simply urges you to provide feedback. This is a wonderful way to reward you for your eval time. I certainly appreciate the opportunity GAOTD affords me to have useful utilities that I would otherwise do with out. However, when we evaluate trial-ware, we seem to be saying our time is without any value. Personally, I enjoy trial-ware. when I see it, I know it's one less thing to install and test. When not time restricted, it is a gift which simply urges you to provide feedback. This is a wonderful way to reward you for your eval time. I certainly appreciate the opportunity GAOTD affords me to have useful utilities that I would otherwise do with out. However, when we evaluate trial-ware, we seem to be saying our time is without any value. just standard version? I trailed now ,it`s ok about function .But I hope use the pro version. 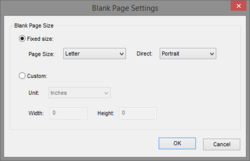 1- you are saying ( convert PDF to office format with one click)this software will convert pdf to office. 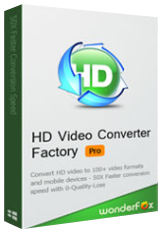 but at the time of converting this software asking to purchase pro version. 2- Please don't attach these type of softwares who is only for some monthes. 3- firstly check these software than send to market. 1- you are saying ( convert PDF to office format with one click)this software will convert pdf to office. but at the time of converting this software asking to purchase pro version. 2- Please don't attach these type of softwares who is only for some monthes. 3- firstly check these software than send to market. I fully endorse the view of other users to dismiss gifts of software with such limitations in both time and general useability. Maybe customers in China fall for such ploys, but that does not mean that the rest of the world are equally suited for such offers. If it had been the Pro version with a 1 year licence, vivpdf.com, I am sure would have benefitted from feedback and exchange with the rest of the world. All in one? Well, this program lacking in features that some plugins make it possible in Adobe Acrobat, like Quite Imposing and PitStop Pro does. Those are quite expensive :( Part time professional may need them, so i do not like that this kind of programs call itself "all in one". I really like to get those features free! But like this "All in one", and many other similar -programs, it remains only a dream. it`s a good edit function,the edit effect is better than foxit! david, thank you very much, we will do it better. it`s easy to use,I like it. shara, thank you very much, we will do it better. Found the text editing a bit confusing, having said that it does edit the text well once I was in that mode. It really does need a help file as sometimes when text is selected it was easy to edit at other times even though selected was not possible. But, I will be keeping it. arron, Found the text editing a bit confusing, having said that it does edit the text well once I was in that mode. It really does need a help file as sometimes when text is selected it was easy to edit at other times even though selected was not possible. But, I will be keeping it. Eyvind Stadig, I`m sorry for our software bring some trouble with you ,our software have already passed the Windows 10 system testing .So ,can you describe the details to us.such as :start issue or installation issue. Eyvind Stadig, I`m sorry for our software bring some trouble with you ,our software have already passed the Windows 10 system testing .So ,can you describe the details to us.such as :start issue or installation issue. thank you . Eyvind Stadig, I installed on last windows 10 64bits without problem and it works perfectly. I only regret the 6 months license.